"And war broke out in heaven; Michael and his angels fought against the dragon. The dragon and his angels fought back, but they were defeated, and there was no longer any place for them in heaven." Revelation 12:7-8 NRSV Today is the feast of Michaelmas or St Michael and All Angels. As the date falls near to the equinox, it is associated with the start of autumn in the northern hemisphere and the autumn term at many British universities. Michaelmas is the feast day of St Michael the Archangel, who now shares his festival with the other named Archangels Gabriel and Raphael. Michael is referred to in the Bible in the books of Daniel, Jude and Revelation as the leader of God's armies against Satan. 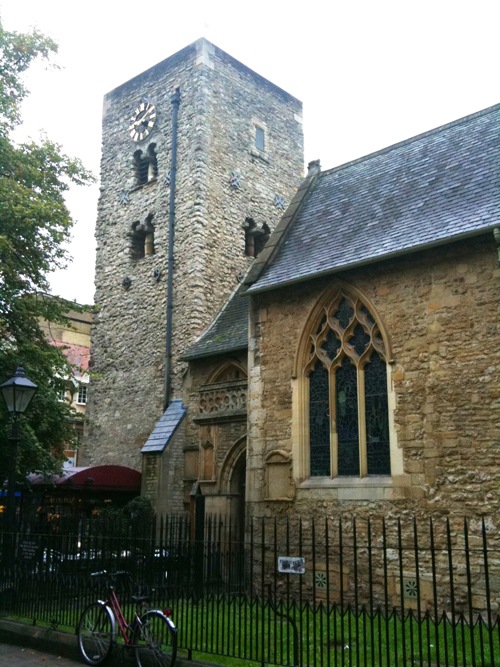 As well as being the name of the first term of the academic year at Oxford, St Michael also has the oldest building in Oxford dedicated to him; the church of St Michael at the North Gate on Cornmarket boasts a Saxon tower dating from about 1050 AD. Their 15th century pulpit is also where John Wesley preached his Michaelmas sermon on this day in 1726!